Public transport in the Netherlands, to most, is pretty damn straight forward. But if you’re new here and need some extra tips on your commute, we’re here to help! Here is the complete guide to public transport in Holland. New to the Netherlands and wonder how we all get around? Public transport in the Netherlands is actually renowned for being good – but that doesn’t stop us having a little moan every now and then about the trains. 😉 Here’s a complete list of almost every form of transport that we use to get around this beautiful, yet small country. 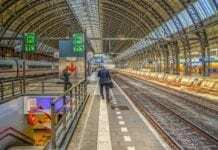 Catching a train in the Netherlands is an easy way to travel and some trains run all through the night. 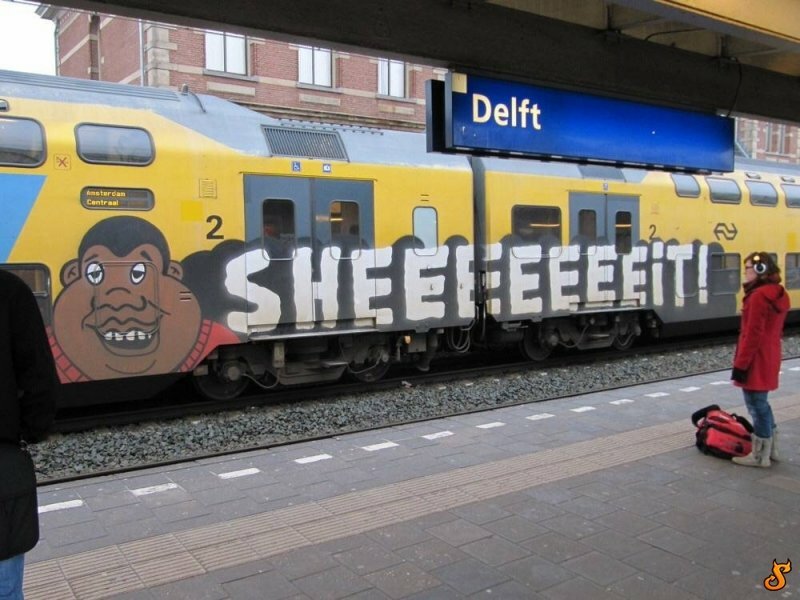 The Netherlands has different NS trains that you can catch too. Sprinter trains – what we all associate with being the sh*t trains, as they are less comfy, small and don’t have toilets. Intercity trains – the cool double-decker trains (and if you catch the newer trains, they are actually pretty swish) and Intercity Direct trains – high-speed trains which get you from major city to major city in half the time of a normal train. You can also choose between first class and second class seats, but we’ve already discussed the controversy about what the hell the difference is in the past. 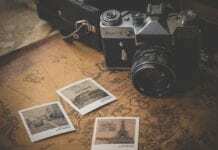 Cheap train tickets in the Netherlands? There are also a variety of different ways to pay for the train. The most popular and easiest is by using an OV Chipkaart. You can buy a variety of different subscriptions to get cheaper trains, such as weekend discounts, off-peak discounts and peak discounts (click here for all the different ones), this then gets paid for and loaded onto a personalised OV card. You just need to make sure that you have at least 10 Euros on your card every time you scan in to get onto the train (for anybody else this is 20). If you have the new NS Flex subscription, you won’t have to pay until the end of the month when you are billed, so scan away! If you have an anonymous OV Chipkaart (7,50), just top up 20 euros and travel like you would normally. Be warned: if you lose your anonymous card, you lose all your money. With personalised cards, you can cancel them and get the money back. What is a cheap dagkaart in the Netherlands? For a real discount, more often than not, day train cards are on sale at supermarkets and homeware stores. For example, Kruitvat does them a few times a year for 15 euros. So you can travel all day on the train for only 15 euros which is crazy cheap. For other discounts, check out the NS website – they do deals such as group tickets, where if 4 or more of you travel then you only pay 7,50 each per way. 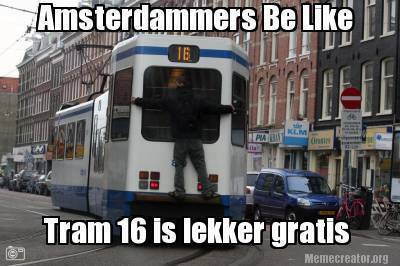 Public transportation in the Netherlands…. oh SHHHEEEEEEEEIT! For more tips, we have a guide specifically for this! Catching a tram in the Netherlands is a very effective way of travelling. It’s literally like getting into a car, but you don’t have to worry about congestion, traffic lights every 3 seconds and actually having to drive. To use the metro lines in the Netherlands, it’s as easy as catching a train or bus. As usual, on every door, there is a place for you to scan your OV Chipkaart and as long as you have a least 1 cent on there ( unless you’ve got the new flex subscription 😉 ) then you can travel. No OV Chipkaart? No problem (well kind of). Sometimes you can buy a tram ticket from the driver, but this is starting to phase out now and a lot of trams no longer do this. There is a machine that is located in the middle of the tram and annoyingly, you have to purchase a 2-hour ticket for 3,50, even if you are only going for a stop or two. So I recommend that if you are travelling a lot, it may actually be worth investing in a 7,50 OV Chipkaart and then you will pay cheaper rates (unless you are travelling long distances or hopping onto the trams within short stints). Buses in the Netherlands are our saviour when the metro and/or trains aren’t running. Catching a bus is also easy and at least every driver I’ve come across has been friendly and happy to help. Again, located at the front of the bus and the middle are places to scan your OV Chipkaart, so once you get on you must scan (the bus driver will be listening out for the beep! ), and then scan out when you’re getting off. If you don’t possess a OV Chipkaart, just ask for a ticket to your end destination. Make sure you have cash for this, you cannot pay with card! Sometimes it’s cheaper to get a return ticket, but if you have a nice bus driver sometimes he just does this automatically anyway, if not, ask which is cheapest. Luckily you can pay from destination to destination, something that isn’t usually possible on trams and metros. Note: Sunday is still a day of rest (somewhat) in the Netherlands. So many buses will stop running on Sunday night and/or will be working on a less frequent timetable during the day. But the good news is in some places there are night buses most days of the week! 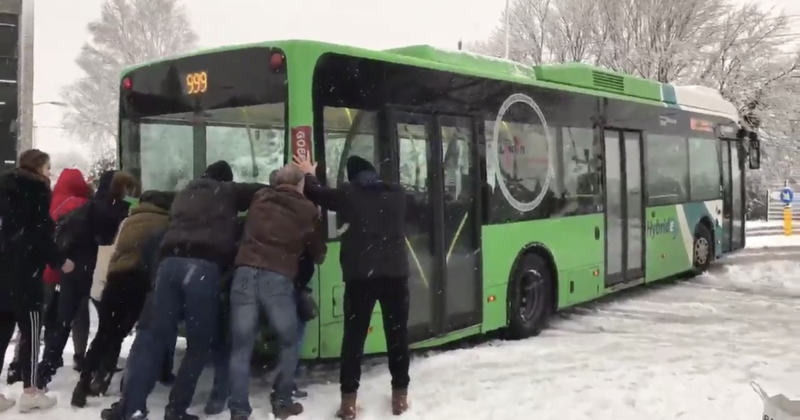 The Dutch will even help push your bus in the snow! 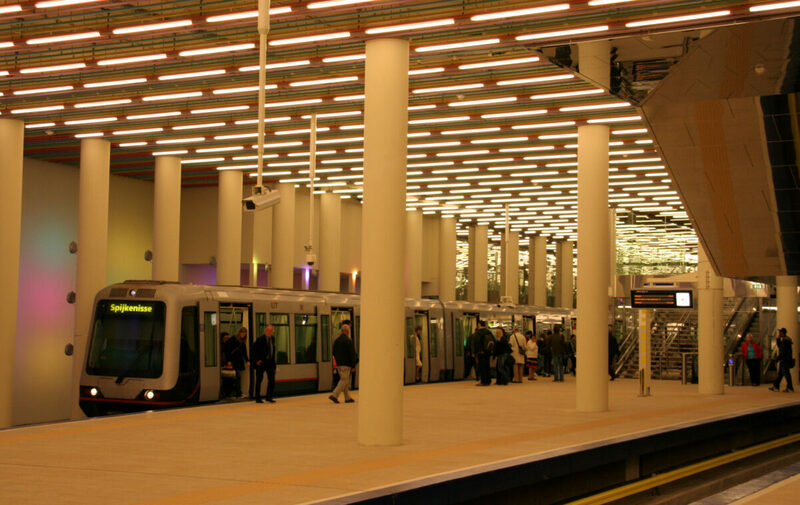 A couple of large cities in the Netherlands have underground metro stations (namely Amsterdam and Rotterdam). The rest go overground. These metro stations ensure that you get from one place to another in the fastest way possible – after all, there aren’t hoards of pedestrians, bikes, cars and trams down there. Be prepared for a squeeze though. The metro gets pretty full during peak hours. The easiest way to pay for the metro is with an OV Chipkaart – just remember to check in and out. As long as you have at least 1 cent on there, you’re good to go. No OV Chipkaart? Then your journey may be more pricey. The cheapest ticket you can buy (at least in Rotterdam anyway), is a 2-hour ticket for 3,50. Not helpful if you’re going for one stop and aren’t returning right away. It is what it is. The metro stations aren’t too shabby in the Netherlands! Considering the Netherlands is surrounded by water, it’s no surprise that in some instances you can travel via boat. For example, in Amsterdam, right opposite the station at the furthest exit there are places to catch ferries. These are free and they take you just across the water to other areas of the city. A lot of people use this as a commute to work, so don’t be surprised if you’re packed like a sardine at peak hours. You can also take boat trips for days out or to commute. For instance, you can water taxis in Rotterdam which will take you from North to South in no time. You can also catch boats there that will take you to sites such as Kinderdijk, in case you fancy a windmill-filled day out. A quick Google search will tell you if there are any ferries/boats in your city, I’ve just given you a few examples. Looking for some other way of getting around the Netherlands? The Netherlands has 2 major airports and 3 other smaller ones where normal passengers can fly from. The largest is Schiphol Airport in Amsterdam (and trust me the airport is huge)! The other is Eindhoven Airport, located in Eindhoven (duh). There is also Rotterdam The Hague Airport, located between Rotterdam and The Hague (but closer to Rotterdam), Maastricht Aachen Airport and Groningen Airport Eelde. You may find that the smaller ones are a bit pricier to fly into, so stick to the others if you’re after a budget flight. In case you somehow haven’t heard the Dutch stereotype yet, yes, pretty much everybody cycles over here and this is one of the main forms of getting from one place to another. When you come here and see the bike lanes for yourself then you can see why. If you’re used to living somewhere like Britain, where the bike lanes are an inch wide, disappear for no reason after a few metres and you constantly have a death wish as you’re battling with traffic and hills, then you’ll see why this country is a bikers dream. So there you have it, our guide to public transport in the Netherlands. What’s your favourite form of public transport in the Netherlands? Let us know in the comments!